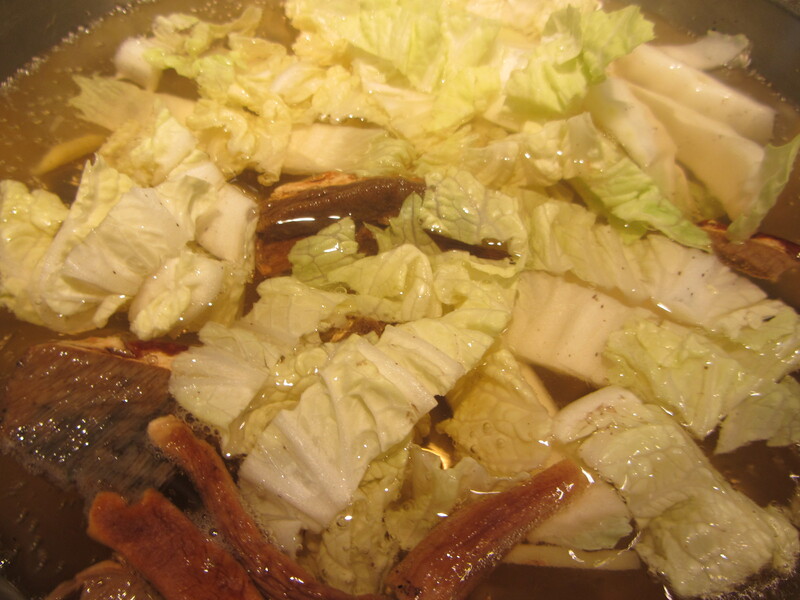 Napa cabbage is boiled in a broth of porcini mushrooms and ginger. Napa has almost no calories, but it has lots of antioxidants, fiber and vitamins: a win-win vegetable. Process Soak the porcini mushrooms for about 10 minutes. The soaking water will darken. 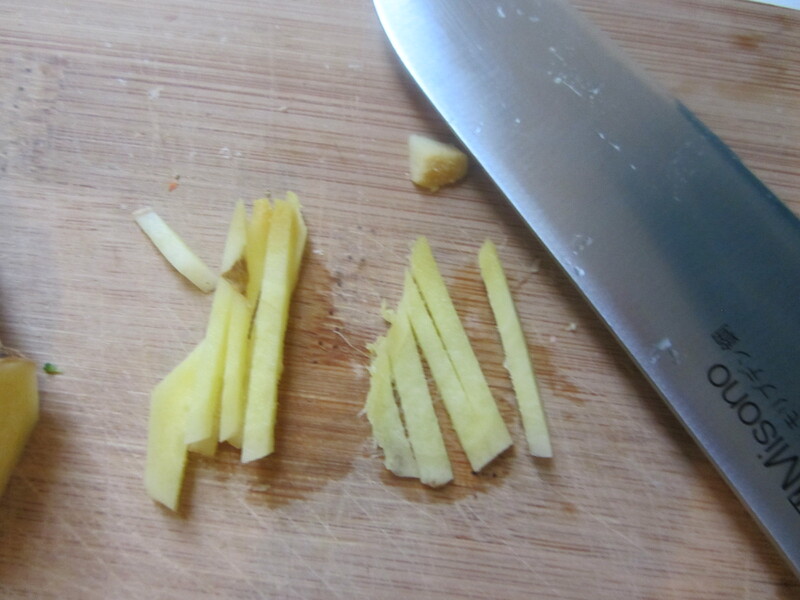 Peel and slice the ginger into matchsticks. Set aside. Wash the napa cabbage well. Slice it into half-inch-thick pieces. Fill a medium-sized skillet with water and a pinch of sea salt. Add the mushrooms and their soaking water. Add the ginger pieces. Bring to a boil. 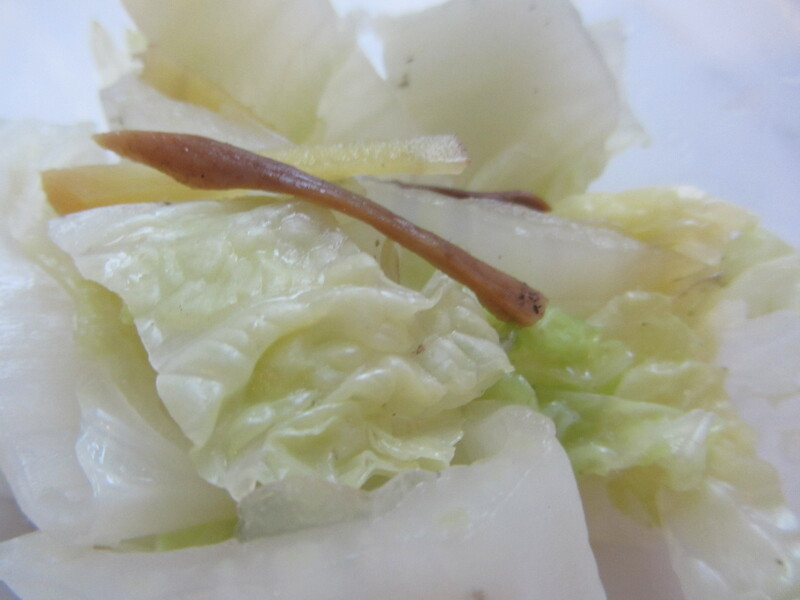 Add the napa cabbage pieces and let them cook in the seasoned water for about three minutes. 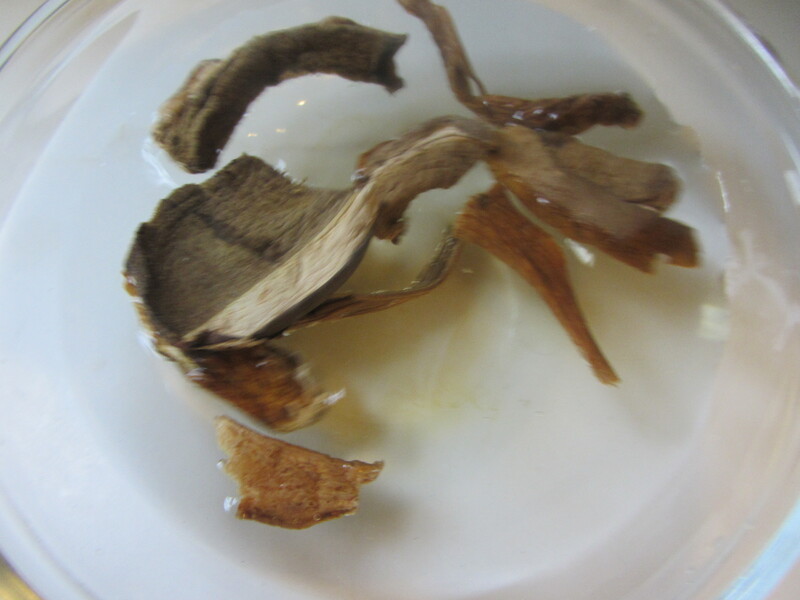 Remove from the water and serve with the mushroom and ginger pieces. Thanks for taking such good care of our girls. This class has provided them with a deep love and appreciation for cooking and healthy food. And not being any sort of cook myself, I am so grateful for this.